There is nothing we wont see in this country. are doing so to the pole. 0 Response to "Nawa O! 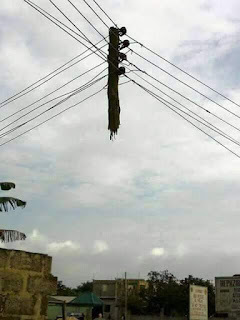 See Photo Of Cable Wires Holding Electric Pole Instead Of The Pole Holding Them"